Joy Division were formed in the wake of the punk explosion in England, by 1980 they were the hottest band in England. In May 1980, on the eve of their first US tour, lead singer Ian Curtis committed suicide. The Bafta Nominated Film 'Control' by director Anthon Corbjin details the life of Ian Curtis, and is released on DVD on 11th February 2008. The film won 5 Awards at the end of 2007 at the British Independent Film Awards, including Best Film. 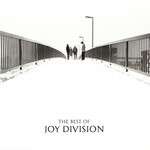 The Best Of Joy Division, a collection of 14 tracks highlighting the band's career (CD1). "The Peel Sessions" (CD2) is a collection of the two John Peel sessions recorded by Joy Division in 1979.